Superb texture gives this enchanting piece the unmistakable appeal of expert hand hooking and carving. 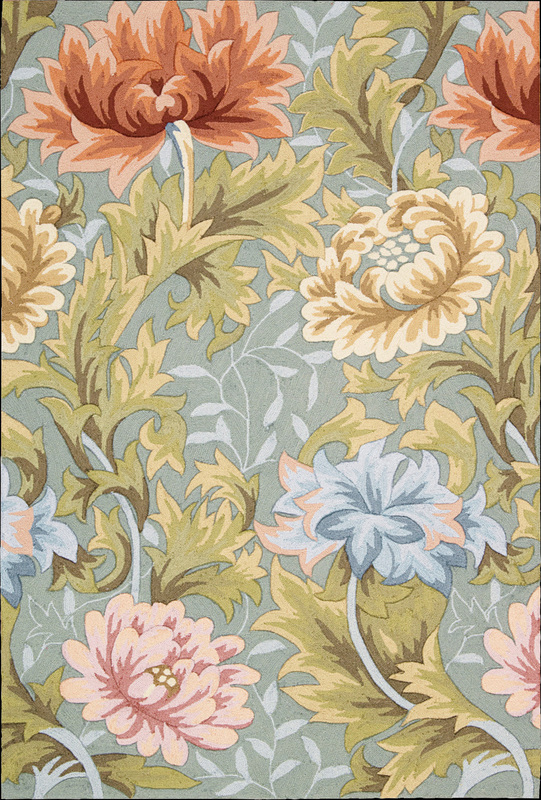 The floral fantasy features lush blossoms amidst a lively arabesque of detailed foliage. Presented in a delicate color scheme of blues, pinks, greens and peach on a soft slate ground.